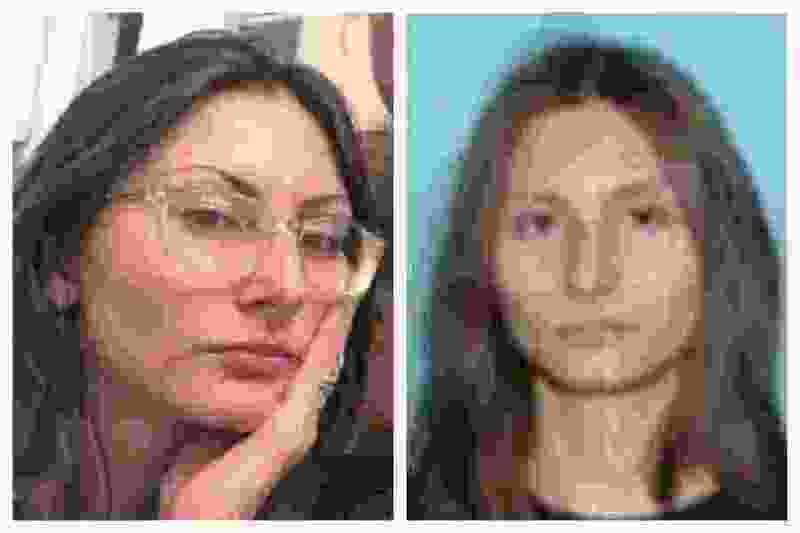 (Jefferson County Sheriff's Office | The Associated Press) This combination of undated photos released by the Jefferson County, Colo., Sheriff's Office on Tuesday, April 16, 2019 shows Sol Pais. On Tuesday authorities said they are looking pais, suspected of making threats on Columbine High School, just days before the 20th anniversary of a mass shooting that killed 13 people. Littleton, Colo. • A young Florida woman who traveled to Colorado and bought a shotgun for what authorities feared would be a Columbine-inspired attack just days ahead of the 20th anniversary was found dead Wednesday in an apparent suicide after a nearly 24-hour manhunt. All classes and extracurricular activities for about a half-million students were canceled as a precaution, though sheriff's spokesman Mike Taplin said the young woman's threats were general and not specific to any school. "This has become a massive manhunt ... and every law enforcement agency is participating and helping in this effort," said Dean Phillips, agent in charge of the FBI in Denver. Authorities said Pais was last seen not far from Columbine — in the Jefferson County foothills outside Denver — in a black T-shirt, camouflage pants and black boots. Colorado Gov. Jared Polis said federal, state and local law enforcement were "dedicating all of their resources to locate this dangerous individual." "We know that there is a lot of anxiety right now in Colorado," Polis said in a statement. Because of the threat, Columbine and more than 20 other schools outside Denver locked their doors for nearly three hours Tuesday afternoon, and some canceled evening activities or moved them inside. Pais' parents last saw her on Sunday and reported her missing to Florida authorities on Monday night, police in Surfside, Florida, said. Messages left by The Associated Press at two numbers listed for Pais' relatives in Florida were not immediately returned, while another number was disconnected. Adam Charni, a Miami Beach High School senior, said Pais dressed in black and kept mostly to herself. He said he was "baffled" to learn she was the person authorities in Colorado were searching for. Another classmate, 17-year-old junior Drew Burnstine, said Pais was a quiet, smart student who sat alone in class and "never caused problems or indicated that she wanted to harm anyone." State Rep. Patrick Neville, the Republican House minority leader, was a 15-year-old sophomore at Columbine High at the time of the shooting and now has three school-age daughters. "It wasn't easy for me to explain to my kids what was going on last night," Neville said on the House floor Wednesday.